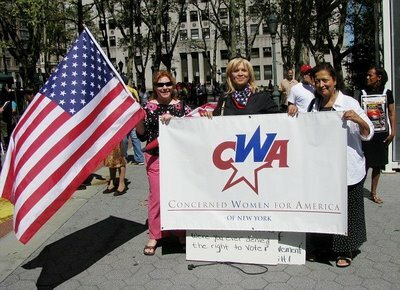 Concerned Women for America (CWA) is a right-wing Christian advocacy group and lobbying outfit based in Washington, DC. With over half a million members, the group bills itself as “the nation's largest public policy women's organization" and boasts "a rich 30-year history of helping members across the country bring Biblical principles into all levels of public policy." Through grassroots mobilization, publications, and legislative pressure, CWA pushes right-wing viewpoints on social, economic, and foreign policy issues. Affiliated organizations include the Beverly LaHaye Institute, CWA’s “think tank” arm; the CWA Legislative Action Committee, its lobbying arm; and the Concerned Women PAC, which supports political candidates directly. CWA works on array of issues besides traditional social concerns. For instance, among its seven “core issues” is “support for Israel” (the others are “sanctity of life,” “defense of family,” “education,” “religious liberty,” “national sovereignty,” and “sexual exploitation”). As part of its “pro-Israel” advocacy, CWA backed efforts to impose new sanctions on Iran while international negotiations over Tehran’s nuclear enrichment program were underway. “As the administration works to achieve a final agreement we must continue the pressure,” Penny Young Nance wrote in a letter distributed on Capitol Hill by CWA's lobbying arm, adding that the group “reserves the right to include all floor votes in our annual scorecard.” Critics said the sanctions—which were introduced by Sens. Mark Kirk and Robert Menendez and vigorously backed by the American Israel Public Affairs Committee (AIPAC)—were actually designed to sink the negotiations altogether. (Despite CWA’s support for Kirk’s sanctions bill, it hasn’t always enjoyed warm relations with the strongly “pro-Israel” senator. After Kirk withdrew his sponsorship for a 2014 CWA event on Capitol Hill under pressure from gay rights groups, for example, the group issued an action alert accusing the senator of squelching free speech to appease “the pro-homosexual, bisexual, and transgender lobby.") CWA has also sent delegations to AIPAC’s annual policy conferences. Although CWA does not reveal its funding sources, it claims over half a million members and states that any monetary contribution automatically establishes membership. 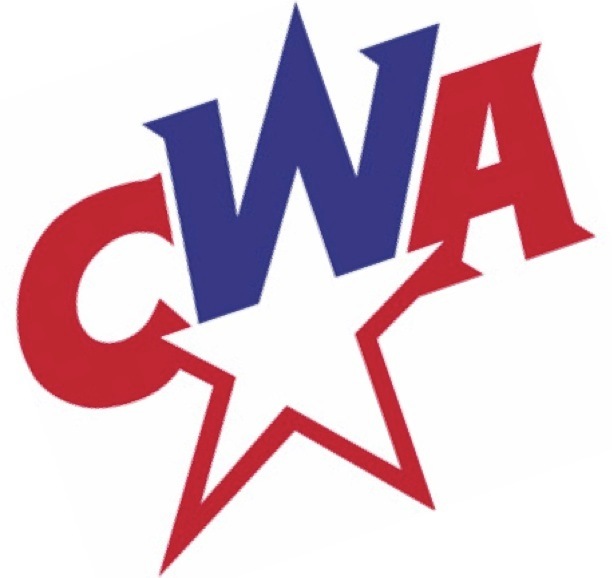 The group’s 2012 Form 990 filing reported over $6 million in contributions for CWA proper, while a separate 2012 filing reported over $8 million in contributions for CWA’s lobbying arm. Concerned Women for America, “About Us,” http://www.cwfa.org/about/. Concerned Women for America, “Our History,” http://www.cwfa.org/about/our-history/. Peter Montgomery, “Religious Right Leaders Defend Russia's Anti-Gay Law,” Right Wing Watch, November 15, 2013, http://www.rightwingwatch.org/content/religious-right-leaders-defend-russia-s-anti-gay-law. Bryan Tashman, “CWA: How Dare Obama Criticize Uganda's Anti-Gay Law,” February 27, 2014, http://www.rightwingwatch.org/content/cwa-how-dare-obama-criticize-ugandas-anti-gay-law. Concerned Women for America, “Our Issues,” http://www.cwfa.org/about/issues/. Jennifer Rubin, “A strong new player in the pro-Israel community,” Washington Post “Right Turn” blog, June 5, 2013, http://www.washingtonpost.com/blogs/right-turn/wp/2013/06/05/a-strong-new-player-in-the-pro-israel-community/. Penny Young Nance, CWA Legislative Action Committee letter on Nuclear Weapon-Free Iran Act, January 2014, http://www.cwfa.org/wp-content/uploads/2014/01/CWALAC_Nuclear-Weapon-Free-Iran-Act.pdf. Concerned Women for America, “Senator Kirk Needs to Hear from You Today,” November 19, 2013, http://www.cwfa.org/take-actionsenator-kirk-needs-to-hear-from-you-today/. Concerned Women for America, “Mr. President, Israel Matters,” March 25, 2013, http://www.cwfa.org/mr-president-israel-matters/. Matt Duss, “Women’s Group Adopting Pro-Israel Agenda Has A History Of Anti-Islam Activism,” Think Progress, June 10, 2013, http://thinkprogress.org/security/2013/06/10/2125361/cwfa-israel-anti-islam/. Sarah Posner, “WaPo Blogger Welcomes Evangelical Islamophobes to the Pro-Israel Tent,” The Daily Beast, June 10, 2013, http://www.thedailybeast.com/articles/2013/06/10/wapo-blogger-welcomes-evangelical-islamophobes-to-the-pro-israel-tent.html. Concerned Women for America, “Give Now,” http://www.cwfa.org/take-action/give-now/. Guidestar.org, 2012 Form 990 for Concerned Women for America, http://www.guidestar.org/FinDocuments/2013/953/580/2013-953580834-09beb2bf-9.pdf. Guidestar.org, 2012 Form 990 for Concerned Women for America Legislative Action Committee, http://www.guidestar.org/FinDocuments/2013/953/370/2013-953370744-09c5caea-9O.pdf.